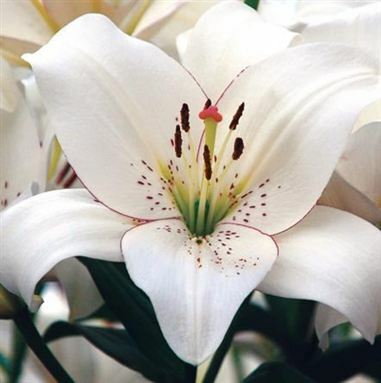 Eyeliner 'Asiatic' White lilies have a fine pink line around the edge of the petals are unscented & have long narrow, lanceolate leaves. They are 95cm tall & wholesaled in 10 stem wraps. All Asiatic lilies are multi-headed.